The aptest solution for enterprise-focussed content solutions, Alfresco ECM is an open-source platform offering its users access to a better repository. Introduced to businesses for its excellence in applications in Enterprise Content Management, Alfresco has a diverse portfolio with non-Microsoft product offerings including Adobe PDF, Google Docs, etc. Did you know it works exceptionally well on Android and Apple as well? It’s customers call it an innovative replacement to legacy ECM systems. 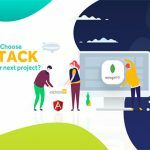 Furthermore, this open-source platform is an excellent choice when it comes to offering stability, performance matching, certification against applications, and support. Talking of its milestones, Alfresco has earned nearly 1 M downloads and works well for more than 20,000 community members. It boasts approximately 15,000 and counting installations, 5,000 developers and 2000 global customers. 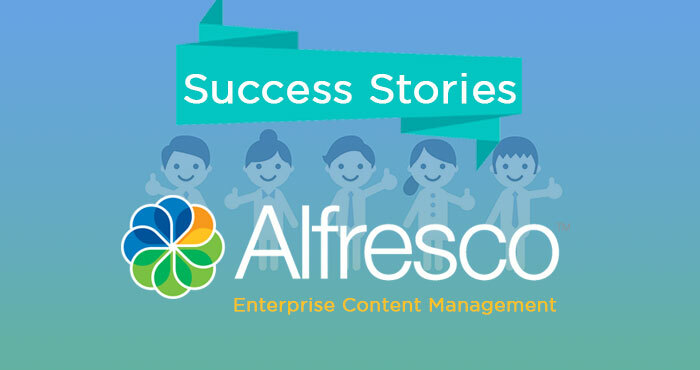 Alfresco’s content management capabilities have helped the enterprise add Kaplan, Airbus, Electronic Arts, KLM Airlines, CISCO, Boise, SIGNA, Sony Pictures, etc in the list of its customers. SIGNA is Austria’s leading Real Estate organization founded a decade and a half ago, worth more than EUR 6B. The organization boasts a portfolio of property assets in the European Continent. Keeping track of documents was a daunting task in the company’s legacy system. 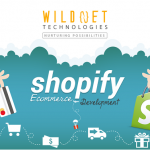 They opted for Microsoft Sharepoint has its own complexities and shortcomings such as seamless collaboration with its partners or permission structure. Moreover, Sharepoint didn’t offer exceptional security and extensibility features in document sharing. Character limitations, as well as long document names in nested folders, didn’t properly address even in the advanced versions of MS Sharepoint. SIGNA’s legacy system had migrated from Sharepoint to Alfresco One Content Management. Alfresco’s open source characteristic features and capability to integrate with Sharepoint made it preferred choice. The company had resolved its long-standing issues of document versioning, supporting long files names, and security constraints while sharing the document. More than 160 employees now use Alfresco. Alfresco manages nearly 600, 000 documents and the numbers are continuously increasing. Employees now have the right to share, access, upload, download, and edit the document ensuring best-in-class security features. SIGNA says FAW (premier partner of Alfresco) had played an important role in the technology implementation. Since then the real estate leader has been efficiently carrying out its business processes and tasks with the help of FAW’s knowledge and expertise in the technology. And so is the experience of CISCO! Globe’s largest networking company and the fuel to digital transformation endeavours has earned tremendous popularity in improving its sales and services. 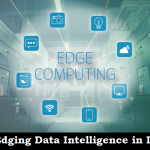 6000 Sales Engineers spent millions of hours yearly for efficacious customer conversations by digging feature comparisons, roadmaps for product offerings, and a colossal amount of competitive data spread across various locations. This deluge of data created chaos and asked for quick addressal. Then was the time to deploy SalesConnect in a month and a half to assist its 87, 000 users worldwide. SalesConnect was enriched with flexibility, scalability, and one-platform-for-everything characteristics. 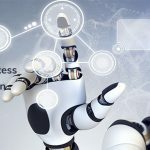 The open-source feature of Alfresco allowed the developers to look into the source code for the system’s functionality aiding in early deployment. Not only this, this content management system offers topnotch ease of use, performance, security, feature scalability, and compliance. Alfresco worked wonders for CISCO’s SalesConnect. Its success and effects are now reflecting in marketing as well. The implementation of marketing library of Alfresco had completed in 90 days. Post-implementation it has beenempoweringCISCO’s marketing team to efficiently manage all their marketing content. Adopting Alfresco Content Management Capabilities has helped CISCO to intelligently manage engineering documents, contracts and sensitive data. Did you know CISCO is up for streamlining and integration of its business processes with Alfresco Content Management features? 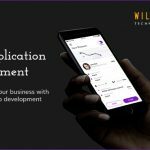 Alfresco Programmers at Wildnet Technologies display an impressive portfolio of document management utilizing the potential of the world’s most popular enterprise content management systems. Our team with years of experience and technology expertise assures efficient and flexible handling of millions of enterprise documents and work process involving no hassle. 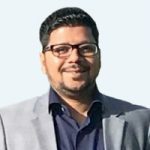 Willing to know more about Alfresco ECM development Capabilities and Solutions or want to Hire Alfresco Developers? Write to us.